If you want to make manga the traditional way by cutting screentones and applying them directly to your drawings, you can find some online, but they’ll be a bit pricey. It’s better to go to a Japanese district if you’re near one and find a bookstore. Otherwise, you can go online and order them. 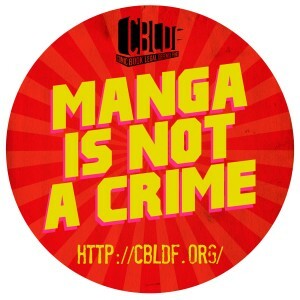 The Deleter Manga Shop (http://deleter-mangashop.com/). If you’re more of a digital artist, you can use a computer program to make the screentones. The most common programs are Manga Studio ($80) and Photoshop ($699). (If you go to an anime convention, you’ll always see a Manga Studio booth with discounted versions available. If you don’t have this program and you’re on a time crunch, just download the trial versions.) You can also download free screentone packs from other artists like the Screentone Society on Deviant Art, Ashura’s Screentone Depot, OrneryJen’s screentone page, Psychobob’s screentones (password: psychobob), Shounen Ai Go’s screentones (old), or Jason Tucker’s “Screentones” page. The only bad side to using purely digital screentones in manga is that sometimes the tone looks too digital, too clean. Some ways to get around that is to scan a few physical screentones and use them when the manga looks off after toning. If you want the best of both worlds–the traditional way of making manga with the digital ease–you can print screentones on transparent paper and apply them to the physical manga (again, you can download some screentones from DeviantArt). You can also scan the physical screentone to your computer, define a block of it as a pattern in Photoshop, and use it (Edit>Fill>Pattern) after selecting the area you want toned. If you’re skilled with a pen, you can also use carefully planned hatchbacking and pointillism, but it won’t look so professional (just more artsy). Hope this helps with your manga dreams! Also, please read former Prince of Tennis manga assistant Jamie Lynn Lano’s (http://www.jamieism.com) posts and theshazerin’s (http://theshazerin.deviantart.com/) post about manga supplies. Need more inspiration? Check out these manga with Renta! that use many different screentones, but really pay attention to the softer tones! Check out Renta! manga for screentone inspiration! If you don’t know how to apply traditional screentones to your manga, here’s a tutorial from Manga University. If you’re looking for pens to ink your manga that will suit your budget, please read this post (Manga Pens for Manga Artists Outside Japan) comparing Japanese manga pens and their prices from online shops.